Steve’s breakdown: Louis Vuitton has just launched a smart watch but who’s handling advertising? They do not have an AOR and they have to get the word out! NEW YORK, NY: With competitor brands like Hermes and Michael Kors having entered the wearable tech market, it was only a matter of time before Louis Vuitton expanded its label in this category. 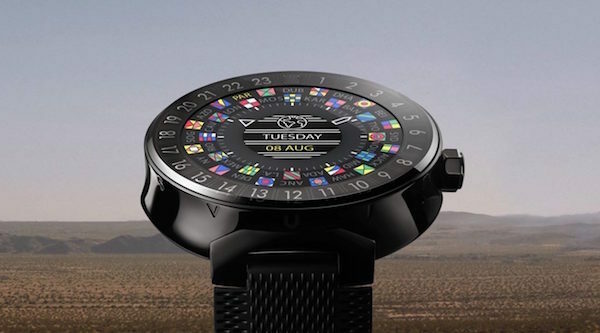 The French fashion luxury brand recently launched its timepiece range ‘Tambour Horizon’ which runs on Google’s Android Wear 2.0 software, developed in collaboration with Qualcomm and Google. Targeted mainly at the LV loyalist travel buffs, the smartwatch with its iconic LV monogram print is available in three different case styles – graphite, monogram and black – and s-i-x-t-y interchangeable strap options – 30 each for men and women. What’s more, the timepiece comes with a host of customisable watch faces including customising your initials on the dial. You’ll also benefit from Google’s latest features that are introduced, including the latest software update, the ability to download apps directly from the smartwatch as well as a couple of preload apps designed by the brand. With a 42 mm size dial, the unisex smartwatch does everything you would expect from a standard smartwatch: gives alerts for calls, texts, emails, includes an alarm and functions as your step tracker. The device is compatible with Android as well as Apple smartphones. The Tambour smartwatch starts at $2,511 (about ₹1.6 lakh) exclusively for the case. The watch strap costs an additional $303 (about ₹19,500) which gives the brand approximately a $1,000 (about ₹65,000) worth edge over the Hermes Apple watch.